Quote Reply Topic: My wife done good! 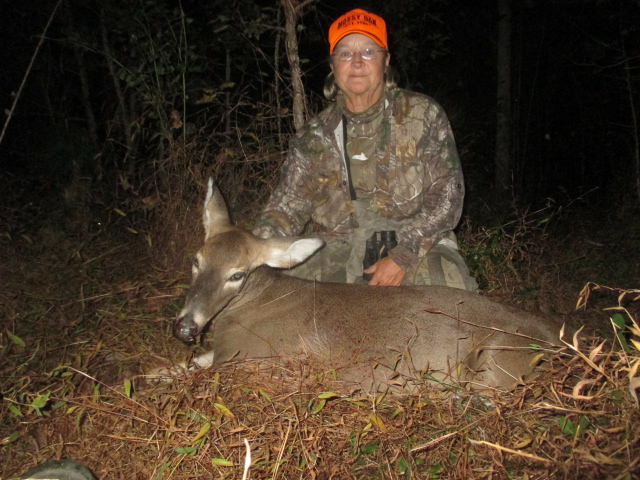 I have been working away from home, NY to be exact but that hasn't slowed my wife down from going after the deer. She had been several days in a row less Sunday. I knew she was going Thursday while I was driving home and was hoping for a call. Just 5 mins of legal shooting time was left when the my phone ran and she said "I sent you a picture". I knew it was prolly a good one because she had been seeing and passing quiet a few lately. This is a really nice 4.5 year old 200 lb buck. 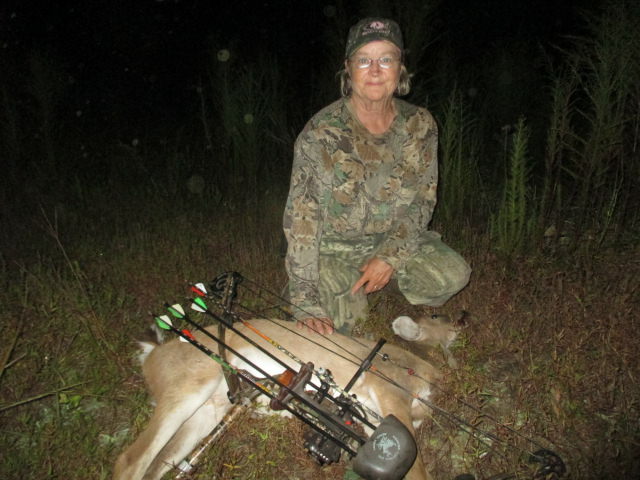 She dropped him with her .243 at 130 yards. 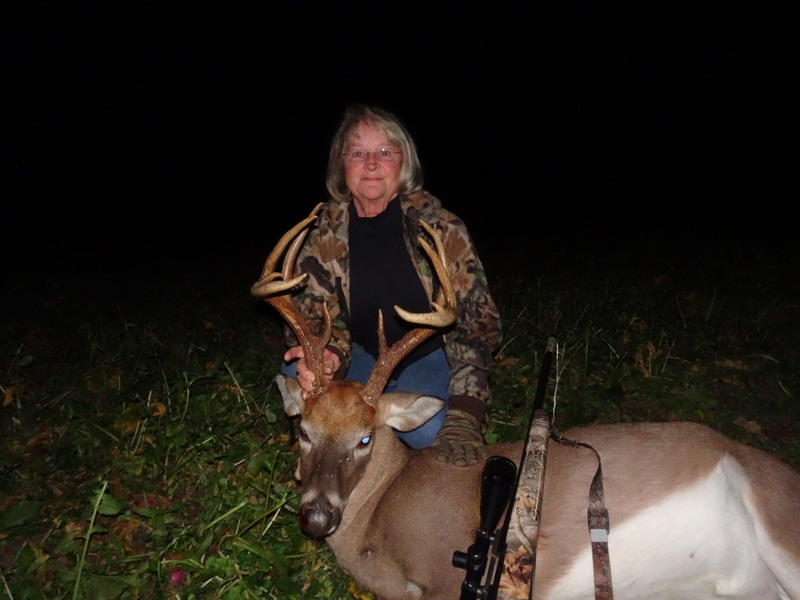 She had already taken a doe with her bow and another with her muzzleloader. The healing of a soul is only a cast away. Wow! Way to go Kay! That is an awesome buck only surpassed by the Elk you got a couple of years ago. Greg, are you a little jealous? If I'm jealous, I have to keep it to myself. Mostly just PROUD!! !